Scarefest 2015 is coming! We booked our hotel room yesterday and I’m already counting the days (159 LOL) until we go! This will be our 4th year attending. We used to just drive an hour from Louisville, KY to Lexington, KY. February, 2014 we moved to Colorado. So, starting last year, we fly. TOTALLY worth the travel!!! You can view other photos we’ve taken (some aren’t good because I took some instead of our photographer…yeah, I’m not very good) by searching “Scarefest” in our search bar. Here’s hoping that Ghost Adventures will be at Scarefest (especially Aaron Goodwin…OMG, what a mega nice guy!). I’d also love to see Amy from the Dead Files again. 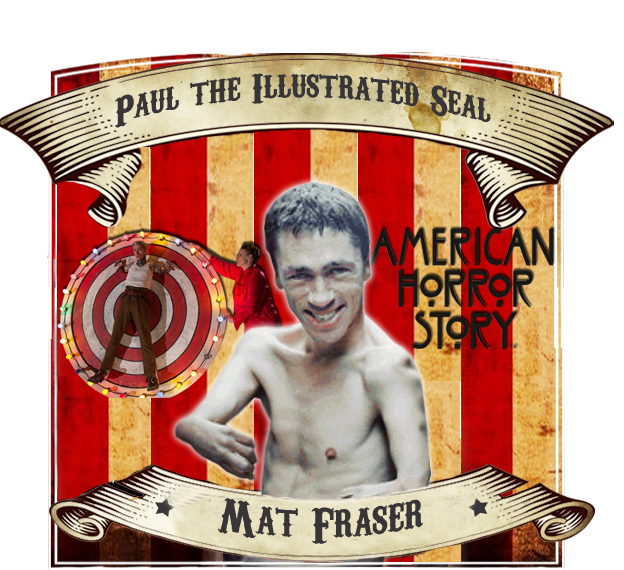 Any, holy smokes, can you imagine if Neil Patrick Harris came since he was on American Horror Story Freak Show?!?!?! I’d also love to see anyone associated with the movie Grave Encounters! Just got our media passes confirmed! This announcement is VERY Special to us, as this is a FIRST for ScareFest! Everyone LOVED The Ghost Hunts that we used to do… well we brought it back times 100! It’s bigger and better than ever before… We are so proud to Announce this limited seating event! Get your tickets now we WILL Sell Out! ScareFest with Ghost Hunt Weekends & The Lexington Public Library, Present: Celebrity Ghost Hunt & De-Bunk with Steve Dischiavi!!!! Saturday, Sept. 12th 6pm-8pm Central Library. Steve DiSchiavi, Retired NYPD Detective & Co-Star of Travel Channel’s hit TV Series “Dead Files” leads a historical investigation and history tour through Lexington Public Library’s Central Library, former location of the Historic & Haunted Phoenix Hotel, where he will provide a Detective’s factual point of view on the claimed “hauntings” and activity still experienced in this beautiful & modern Central Library. Ghost Hunt Weekends’ Chad Morin & Team will be facilitating the full investigation! Guest Psychic to assist in the investigation & evidence collection, and historical documentation. Psychic to be announced. Attendees will enjoy an intimate & exclusive group setting for casual meet & greet and interaction with Steve, as well as many other perks! Complimentary Wine & Craft Beer provided for all ticket holders! Transportation to and from the Library & Convention Center provided by Lextran Trolley & Uber Car services. $60 per person. Limited availability. Please visit: http://www.showclix.com/event/TheScareFest to secure your reservation! 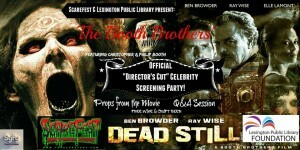 The Booth Brothers Celebrity Screening Party of Syfy Channel’s “Dead Still”-The Directors Cut. Never Before shown or released in the U.S.! Saturday, September 12th, 8pm-10pm in the Central Library’s Farish Theater. join Celebrity film-makers, Christopher and Philip Adrian Booth for this limited seating engagement in this state-of-the-art digital HD Theater as they present their Director’s Cut of the Award winning horror film “Dead Still”. 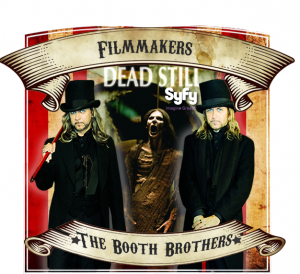 The Booth Brothers will be on hand for Q & A, photos and autographs as well as several other surprises! Cast and Props from the movie will be on hand. Complimentary Wine & Craft Beer provided for all ticket holders! Transportation to and from The Library & Convention Center provided by Lextran Trolley & Uber Car Services. Transportation back the Lexington Center in plenty of time to enjoy the Saturday Night Costume Ball! Get your tickets now!! We WILL Sell out! Phantasm legacy started 36 years ago. ScareFest is so excited to announce A. Michael Baldwin. Please share our announcement with your friends and family so they too will be able to meet Michael. Please Welcome.. Mr. Adam Bonnett!!! Adam Bonnett, “Glider”, is a paranormal investigator, but not just any paranormal investigator. What makes him different than all the others? He is in a wheelchair. He created and copyrighted Glider, a ghost in a wheelchair, to represent that anything is possible and there are no limitations to what a person can do! He speaks about overcoming challenges in life and investigations by finding creative alternatives to physical limitations. Adam’s Presentation will include descriptions and pictures of his life from birth to present including risks, accomplishments and awareness and will also include his work in the Paranormal Field! As well as acting, she is also an accomplished Director, directing over 30 Episodes of Married With Children, as well as other sitcoms such as “Reba” , “Dharma & Greg” and “Veronica’s Closet”. I met Amy last year and sat in on her group talk. She is remarkably funny and entertaining and SUPER nice! Amy’s interest in paranormal phenomena began at age four when she says she was tormented by “shadow people” in her Arvada, CO home. Since then, she’s been on a journey to unravel the mysteries of the unexplained. Amy’s abilities have been studied and tested by leading para-psychologists. She has worked with private investigators, police agencies and has conducted more than 350 investigations in both private homes and businesses. Amy studied Psychology at the University of Arizona and was mentored by world-renowned Para-psychologist , Dr William Roll . For everyone who has been asking.. waiting… wondering… plotting…. YES it’s TRUE! 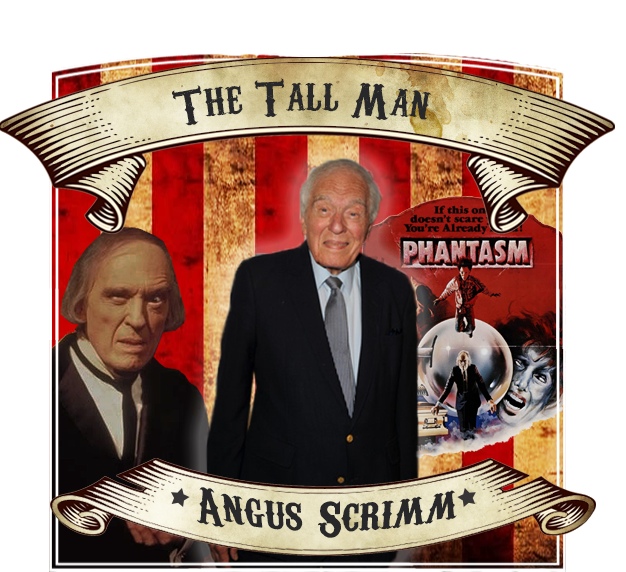 We are so proud to present the one and only ANGUS SCRIMM! Angus is best known for his character as “The Tall Man” in the “Phantasm” movie franchise,but has a full and lengthy career in other avenues such as Theater, Television and Journalism. Mr. Scrimm is a Grammy Award winner, for best album notes, having written thousands of LP and CD liner notes for Artists ranging from Frank Sinatra to The Beatles! Fangoria Magazine inducted Mr. Scrimm into the Horror Hall of Fame alongside the likes of Stephen King, Vincent Price and Anthony Hopkins! Angus is still very active in continuing the Phantasm anthology with the new and upcoming Phantasm Ravager! We are so excited to have a full line up of the original Phantasm cast! Let’s show Mr. Scrimm a huge ScareFest Welcome! You know him as “The First Jason”… Please give a LOUD ScareFest Welcome for: ARI LEHMAN! 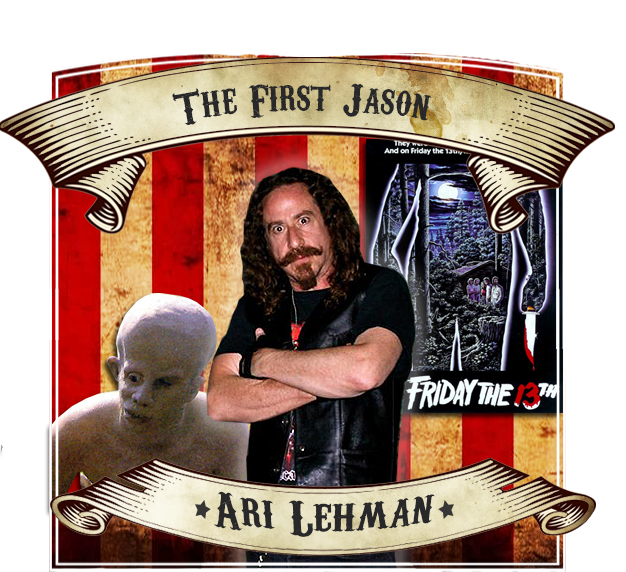 Ari was in fact the VERY FIRST Jason Voorhees,in Friday The 13th appearing on the big screen in 1980!! Since this filming, he has gone on to appear in many other horror related films and documentaries. Today, he tours as front-man of his Metal Band, FIRST JASON, as well as appearing in several other film projects that are in the works! Stay tuned here for more info on a Special SCAREFEST gig/project that Ari has lined up for us!!! We are excited to announce BEN HANSEN! Long time host of SyFy Channel’s: Fact or Faked; The Paranormal Files! 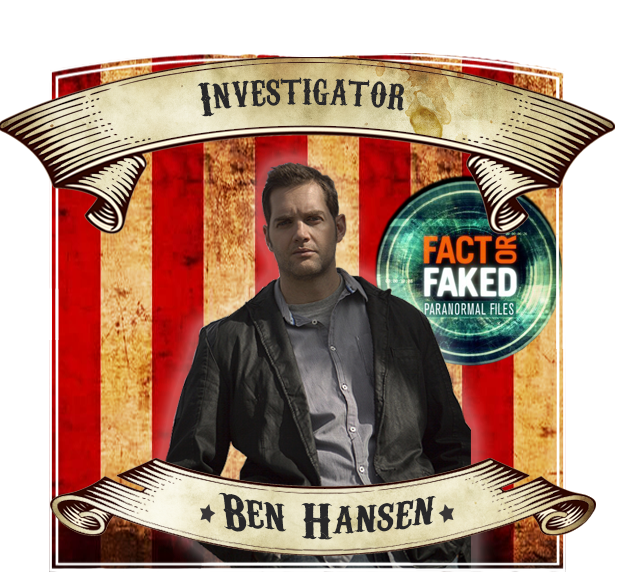 Ben is also a celebrated Speaker and Consultant in other areas of the Paranormal Genre! Lets give him a BIG SCAREFEST WELCOME! He’s on the Current Season of SyFy’s Hit Series FACEOFF! (Season 8) Former Student of LA’s Cinema Make Up School, he is making a huge hit to the Professional Make up and FX Scene! 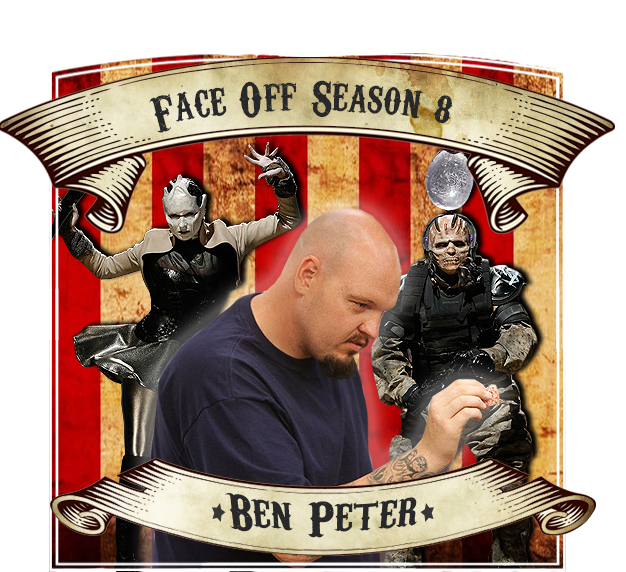 Please give a HUGE ScareFest welcome to: BEN PETER! We have the original “Vampire Professor” Herself, Miss Bertena Varney. M.A., M.Ed. 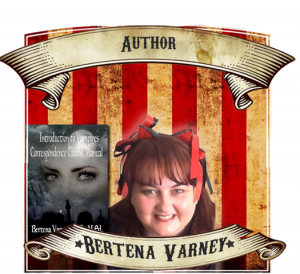 Bertena became entranced by vampires at a young age and was excited when she attended college and found that she could spend her graduate work studying these creatures of the night. She has masters degrees in sociology, criminology, history, and education and is currently a sociology instructor at SKYCTC in Bowling Green, KY.
She has spent the last five years writing pop culture books, presenting at conferences, conventions, libraries, and colleges and is currently incorporating lessons on Buffy and more into her sociology courses. She has written or contributed to eight non fiction books on vampires to date. For her ScareFest Seminar she will be talking about Vampires in Education and will be part of a panel with Eric Vernor and Michele Belanger discussing the vampire as well. Phantasm legacy started 36 years ago. 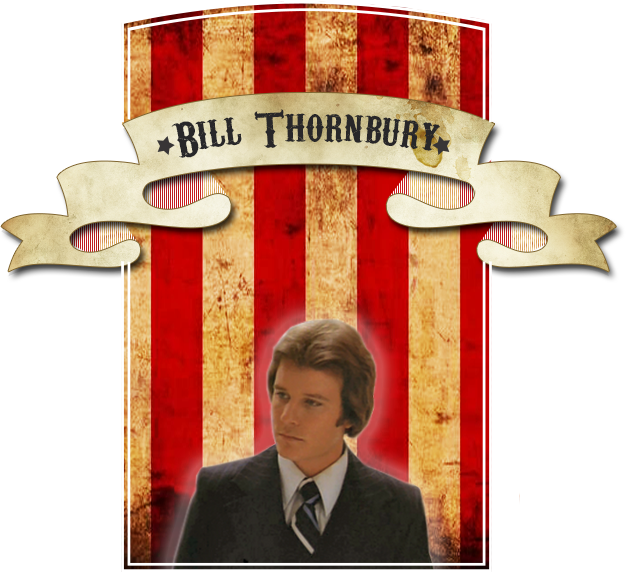 ScareFest is so excited to announce Bill Thornbury. Please share our announcement with your friends and family so they too will be able to meet Bill. These brothers are Professional Film-makers, Musicians and Artists. that have been featured on Syfy, Chiller, iTunes, Hulu, Red box, Xbox, Roku, Amazon, Sony Pictures, Columbia Pictures, NBC Universal, Paramount and more! ~ THE BOOTH BROTHERS~ !!!!!!!!! One of the nicest people to meet at Scarefest! 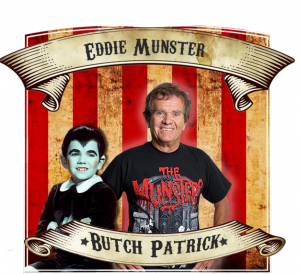 Please Welcome Back to ScareFest: BUTCH PATRICK”!! 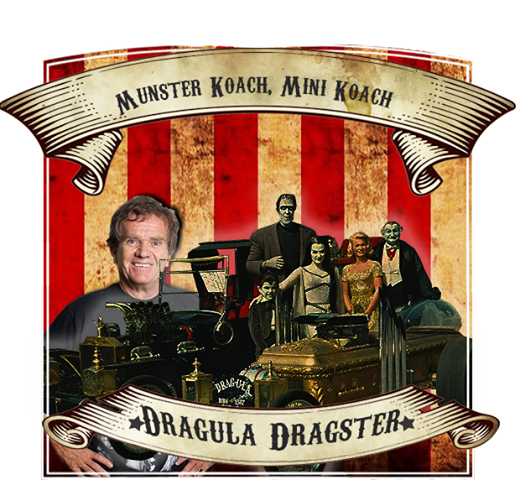 Stay posted here, for some special MUNSTER Announcements coming to ScareFest 8! Lots of fun to be had this year! 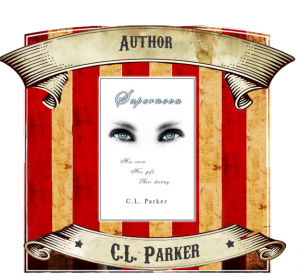 C. L. Parker is a romance author who writes stories that sizzle. She’s a small-town girl with big-city dreams and enough tenacity to see them come to fruition. Having been the outgoing sort for all her life—which translates to “she just wouldn’t shut the hell up”—it’s no wonder Parker eventually turned to writing as a way to let her voice, and those of the people living inside her head, be heard. She loves hard, laughs until it hurts, and lives like there’s no tomorrow. In her world, everything truly does happen for a reason. Stay posted here to read about exactly what C.L. has in store for us with her seminar! It proves to be tantalizing! I’d like to ad a personal comment to this, I met Chip a couple of times at Scarefest. He is one of the nicest people I’ve ever met in my entire life! We are so Blessed and Excited to have our long time ScareFest Friend and Celebrity Guest.Chip Coffey! 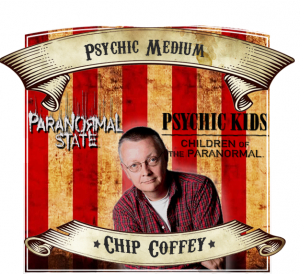 Chip is a Psychic, Medium, and Spiritual Counselor. When he’s not filming he is touring with his famous “Coffey Talk” Event and Appearing at many Paranormal Events throughout the US. He is best known for the A&E Hit Series: Paranormal State & Psychic Kids: Children of the Paranormal! 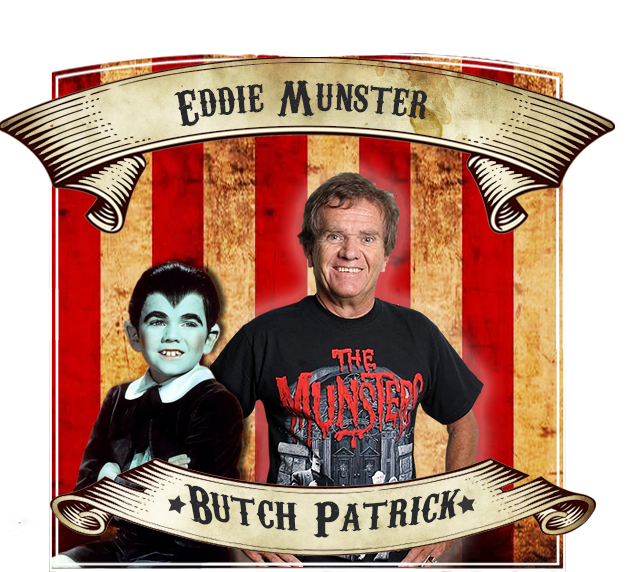 Watch our Official Website, along with Facebook and Twitter for more info coming on his Appearance Schedule at ScareFest this year! Welcome back Chip! 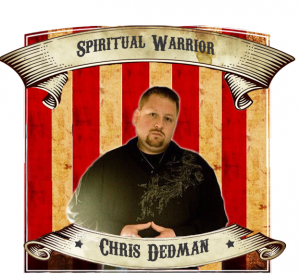 We are proud to announce another ScareFest favorite speaker, Chris Dedman. Chris, a native of Lexington, Kentucky has been researching and investigating the paranormal for many years. Chris would have his first experience with the other side at the age of 12 where he had an out of body experience watching EMT’s vigorously work to bring him back after a horrific firework explosion. Then at the age of 15 Chris saw his first ghost while filming the movie Gettysburg in Gettysburg, PA. This personal experience gave Chris the desire and motivation to seek out answers within the paranormal field. Due to his investigating of the paranormal, Chris works with several families on cases dealing with possible paranormal and demonic activity and teaches them how to deal with it. Chris is a member of Unity, A Journey of Hope which is a non-profit charity that grants wishes to terminally ill adults and the Paranormal Clergy where he is studying under Arch Bishop James Long to become a Demonologist. 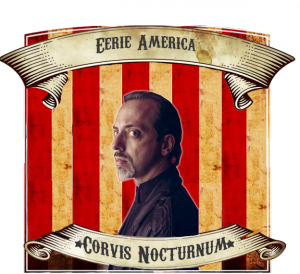 For his presentation at this year’s ScareFest, he will be sharing stories and video of his pilot episode from Eerie America, revealed exclusively at ScareFest, DVDs of the entire series will be on hand, autographed by the cast and crew. Eerie America could very well be called The Fodor’s Travel Guidebook for The Addams Family. This is a series of travel documentaries geared towards educating people on the unique historic locations, fun facts, and promote tourism to some of the most incredible spots across the nation. Eerie America’s special niche is in defining and exploring Dark Tourism – which celebrates the macabre, the unusual, and the strange. Dark Tourism will serve to demystify the “demon in the dark” while retaining its intellectual allure. Where are these places and what are they? They can be found in every city, town and village throughout the nation, often hiding in plain sight. From bizarre dining experiences at The Jekyll & Hyde Restaurant and Bar to overnight stays at a the Lizzy Borden Bed and Breakfast murder scene and everything in between, Eerie America will shine a light on those secluded places across our vast country. Like a documentary, occasionally special celebrity guests who have knowledge about a topic or location will make an appearance, such as special guests author Rosemary Ellen Guiley, Monster Quest’s Ken Gerhard, Paranormal State’s Michelle Belanger, Haunted Collectors Brian J. Cano, Haunted Encounters Daniel Hooven and many others! Chris is an Industry Professional Costume Artist and Independent Actor. He is very well known in the Horror Scene for amazingly accurate and film-specific costumes & characterizations of many top billed Horror movie characters! 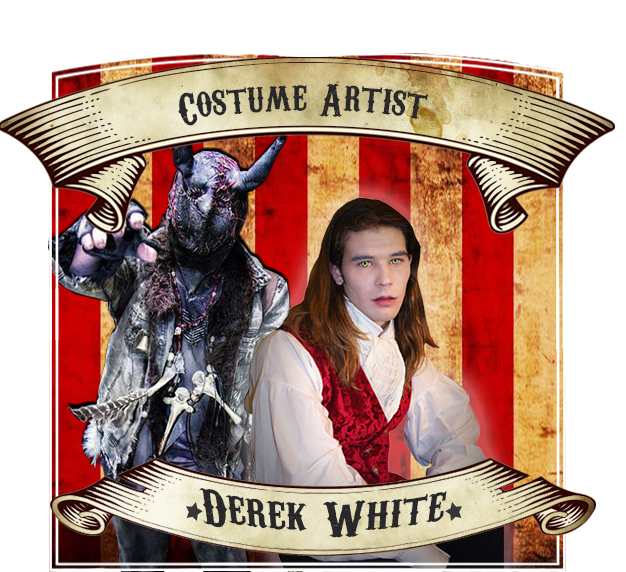 One of his most well known.. is his rendition of “PINHEAD” from the movie “HELLRAISER”, As well as many many others that you will see during ScareFest! Just keep watching to see what we have up our sleeves for the Costume Ball this year! CHRIS is a very welcome addition to the ScareFest line up this year! Whats better than having 2 awesome actors from the Hit Film Christine? Having Bill Gibson’s Christine Movie Car of course!!! Bill Gibson’s Christine Movie Car is the most expansive, immersive Christine experience traveling today, now with nine years of thrilling fans under her wheels. Gibson took his passion for the 1983 Stephen King novel and film, and poured it into a loving restoration that stands as a detail-for-detail screen accurate representation of the titular homicidal vehicle, made of actual parts from cars featured in the John Carpenter directed horror classic. Not only do fans get to meet Bill and his 2013 Mopar Hall of Fame inducted Plymouth, but they get to spend time pouring over the world’s largest mobile Christine museum, featuring memorabilia, props, collectibles and original merchandise that can only be seen at one of Christine Movie Car’s appearances. 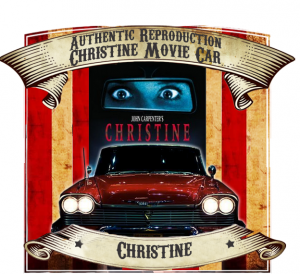 As featured in Fangoria, Horrorhound and Mopar magazines, Christine Movie Car offers more than your average show car experience, as she comes to life before your eyes, headlights glowing, smoke rolling and doo wop tunes flowing. Gibson has outfitted his ‘girl’ with state of the art effects that recreate actions from the movie, putting convention patrons “inside” the motion picture. Just hope she doesn’t get too close! Often imitated, never duplicated, Bill Gibson’s Christine Movie Car offers a rare treat for fright fans and hot rod lovers alike. 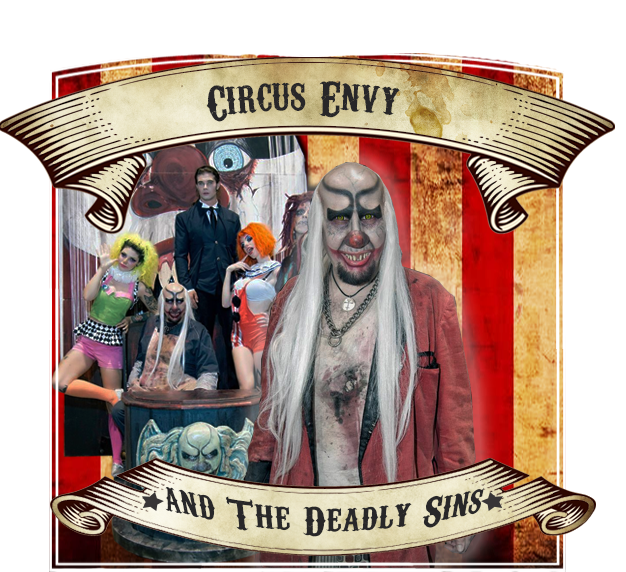 Nicholas Vincent/Circus Envy will be offering up New & Special performances for our show this year! 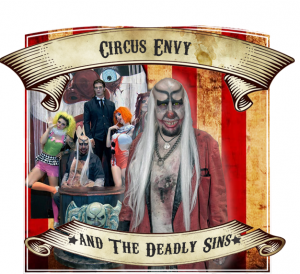 Along with his troupe: Circus Envy and the Deadly Sins, you’ll witness a truly professional sideshow act! Keep watch for a special announcement about an EXCLUSIVE ALL STAR PANEL in the works with Circus Envy and a few other amazing celebs! This is the year to celebrate the many Costume Artists & Professional Character Actors! So many talents! This next Artist joined us last year along side Circus Envy & The Deadly Sins, as LOUIE from Anne Rice’s: Interview With A Vampire.. but he also has MANY MANY other characters and faces. 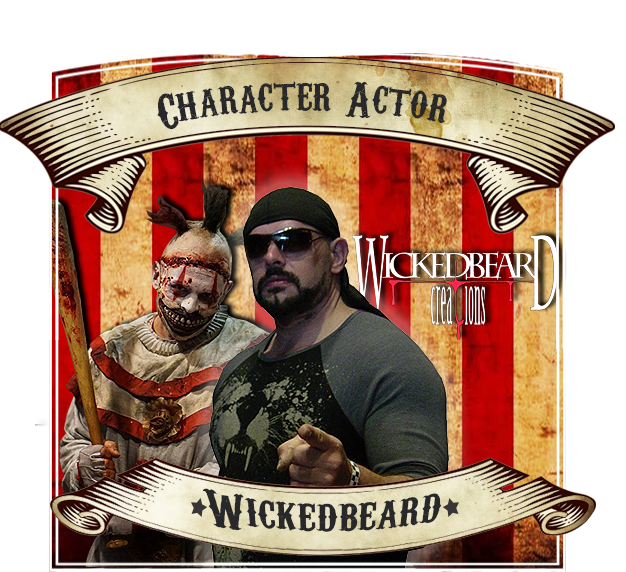 From Atlanta, GA he works professionally as a Model, Character Actor and is quickly becoming part of the close knit ScareFest Family! Please give a HUGE ScareFest Welcome for> DEREK WHITE! We are so happy to announce Award Winning Producer/Director and ScreenWriter: Mr. Don Coscarelli! 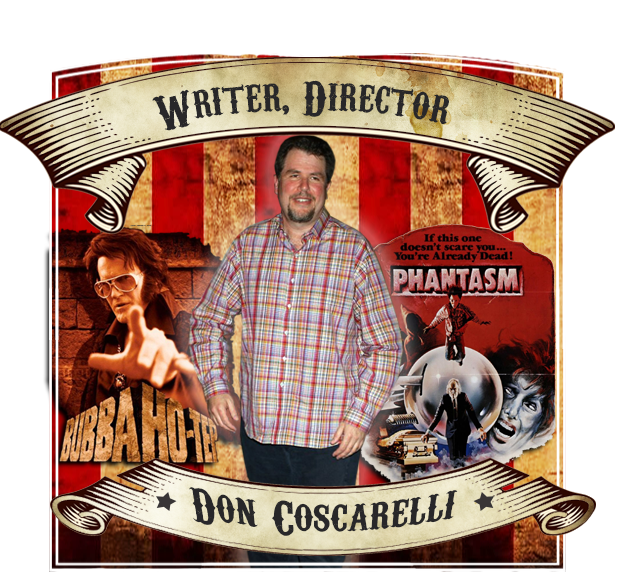 Don is the Writer & Director behind Phantasm as well as a full line up of other Award winning movies such as Beastmaster, Bubba Ho-Tep and John Dies at The End. 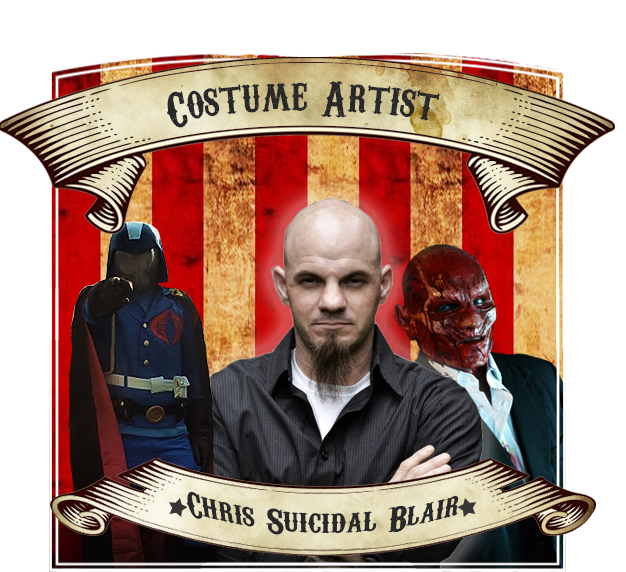 We are so excited to add him to our Phantasm Line Up! Please Welcome Don to ScareFest! This is a SPECIAL Presentation of a CLASSIC HORROR Prop Line Up… Something AWESOME you can participate in.. and interact with! THE OFFICIAL COMPLETE MUNSTER CAR LINE UP! We are so pleased to announce our next special guest speaker, Best Selling Author: Elizabeth Fields!! 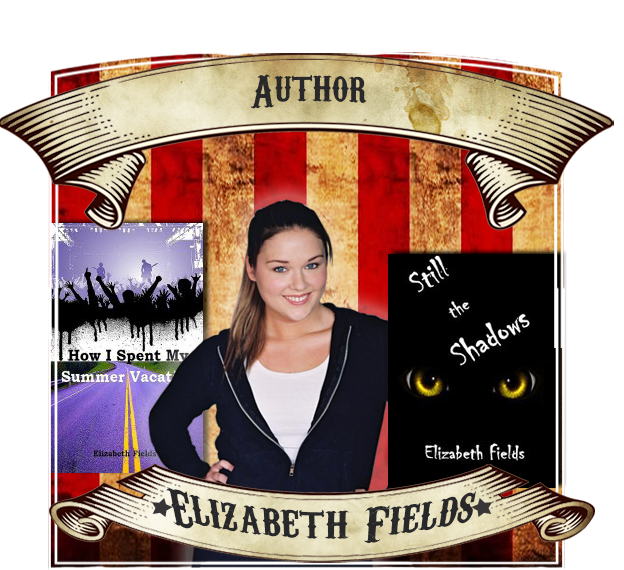 Elizabeth is a talented young female writer/actress/model & film maker, who is breaking into the world of horror & science fiction with ease. She recently placed 4th on the top sellers list on downloads on amazon.com. Stories from both of her Horror Collections, Don’t Let Them In & Still The Shadows,are now under development for screen adaptation and slated to begin filming in 2015. American Horror Story: Freak Show begins its tale in the quiet, sleepy hamlet of Jupiter, Florida. The year is 1952. A troupe of curiosities has just arrived to town, coinciding with the strange emergence of a dark entity that savagely threatens the lives of townsfolk and freaks alike. 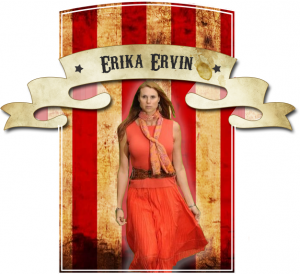 ScareFest is so pleased to announce Erika Ervin who will be joining ScareFest this September. 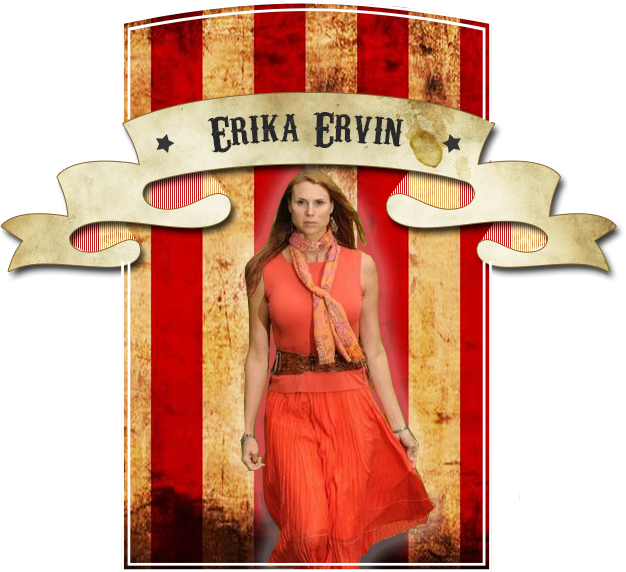 Please share our announcement with your friends and family so they too will be able to meet Erika. Paranormal investigator, Author and magazine publisher, Mr. George Turner! George’s interest in the paranormal began in 2001 after a series of unexplained events that was truly unnerving. His investigations and research has lead him to many other people who shared their experiences and introduced him to myths, legends and theories in the field that we call the PARANORMAL. 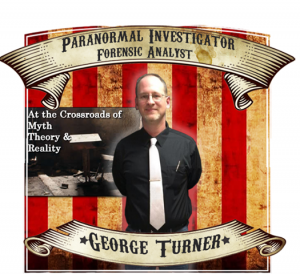 George has appeared on numerous paranormal topic podcast shows and his works has appeared in newspapers, pagan topic magazine and more. His Seminar at ScareFest is meant for anyone interested in the science and technology behind Paranormal Investigations! He will delve heavily into reporting tools and procedures as well as many other fundamental elements of Investigation! Phantasm legacy started 36 years ago. ScareFest is so excited to announce Gigi Fast Elk. 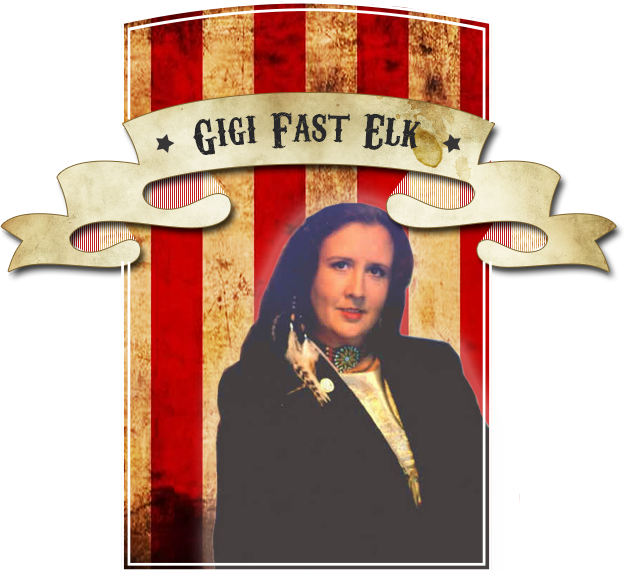 Please share our announcement with your friends and family so they too will be able to meet Gigi. This is not necessarily in the “celebrity” category.. but this business deals in AUTHENTIC celebrity collectibles, movie props and Interactive props.. which is sure to add much more fun & great memories from your own photo ops! Be sure to snap a pic of the Original Green Goblin Head! Please welcome: Hollywood Prop Collector! 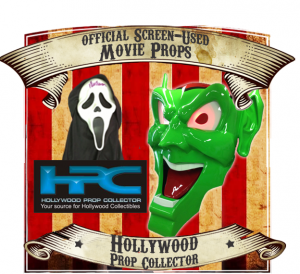 We started collecting movie props and wardrobe back in 1987 when we purchased the Green Goblin head that was used on the Happy Toyz truck in Stephen King’s Maximum Overdrive! We have been hooked ever since. We keep over 500 items in stock most of the time. We teamed up with Bruce Hubbard of The Williams Collection and formed The United Movie Collectors Guild to help bring collectors together and to help fight fraudulent sales of movie memorabilia. Every item we have comes with a C.O.A. (Certificate Of Authenticity) from the movie studio or original prop house, L.O.A. (Letter Of Authenticity) and in some cases… our C.O.A. 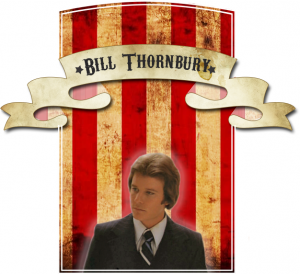 We have been a collector / dealer of fine original authentic movie props, wardrobe, and misc. movie memorabilia for many years! Jack is the Author of “American Shamans: Journeys with Traditional Healers” –Magical healings, ghostly encounters, and alternate realities have been a part of American society since the first colonial settlements. 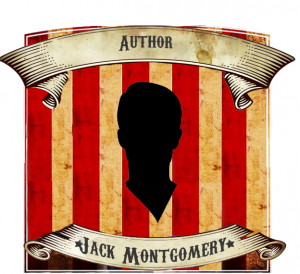 Author Jack Montgomery provides ample historical and personal material to reveal a largely hidden world, primarily influenced by African, Celtic and German roots, that still exists today. It is a spiritual journey into the depths of American folk religion, shamanism and applied mysticism that spans over three decades of research. Keep posted here, and our website for more info on this special Seminar hosted by this esteemed local KY Author! ScareFest Welcomes Ms. Jamie Brewer! 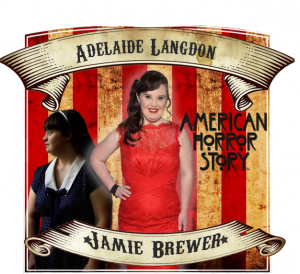 Jamie is Best known for her roll on the FX series: American Horror Story, Season 1 as Adelaide Langdon, Jamie has a long history in all of The American Horror Story Seasons.. and she also carries the title of the First Woman with Down Syndrome to walk to red carpet at New York Fashion Week! Please help us in welcoming Jamie to ScareFest!! 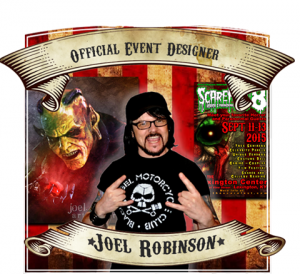 He’s an amazing Professional “Master Artist” and a very dear friend to ScareFest… Please give a huge welcome to our OFFICIAL SCAREFEST ARTIST & EVENT DESIGNER: JOEL ROBINSON!! Another one I’d like to make a personal note on…Josh Gates is my hands down favorite “paranormal” person. He isn’t really paranormal because he’s more for looking for answers & looking at the history. My husband is a firm non-believer in the paranormal and he really enjoys listening to Josh. He’s amazingly entertaining, SUPER nice, VERY funny and just an all around good guy! Our first year at Scarefest, since we had media passes, we were able to go back as soon as we wanted. As we were walking towards the area, Josh was texting on his phone and was walking in the other direction (towards us). I elbowed my husband and, in a loud whisper, “That’s Josh Gates, OMG, that’s Josh Freaking Gates”. We met him later and I got VERY tongue tied and apologized to him that, for the first time in my life, I was star struck! SUCH a sweetheart! He’s amazing at motivating you to travel! You can tell it’s something he’s very passionate about! 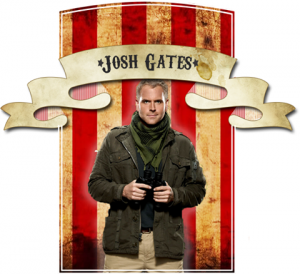 Expedition Unknown chronicles the adventures of Josh Gates as he investigates iconic mysteries across the globe. We are so happy to announce that Josh will be joining ScareFest in September. Please share our announcement with your friends and family so they too will be able to meet Josh. 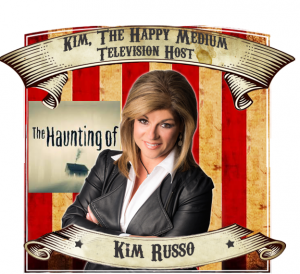 ScareFest is so excited to announce world-renowned psychic-medium Kim Russo, known to many as “Kim the Happy Medium” as one of our guests. Kim currently host the popular TV Show, “The Haunting Of…” currently airing on A&E’s Lifetime Movie Network Channel. This weekly, one-hour series is a follow-up show to the long running series “Celebrity Ghost Stories”. In this TV series, Kim travels around the world to investigate locations from age-old haunted castles to previously sailed haunted cruise ships. uses her gift to help families facing powerful emotional and mental obstacles in their lives. These families and their loved ones are “stuck” for one reason or another and have reached a breaking point. Having unsuccessfully tried all sorts of conventional methods of therapy to solve their problems, Kim is their last hope. Sometimes the truth is hard to hear, but the other side never lies. For these people, the only way to deal with the past and embrace the future is with a psychic intervention. Kim has also appeared on A&E’s hit show, Paranormal State, as well as on a few episodes of the hit TV show “Psychic Kids”. zwe have something VERY special and RARE! This appearance is not one that you will see very often on the Convention Circuit or anywhere else within the United States. Please help us give a huge & gracious ScareFest Welcome to: JYOTI AMGE!!! 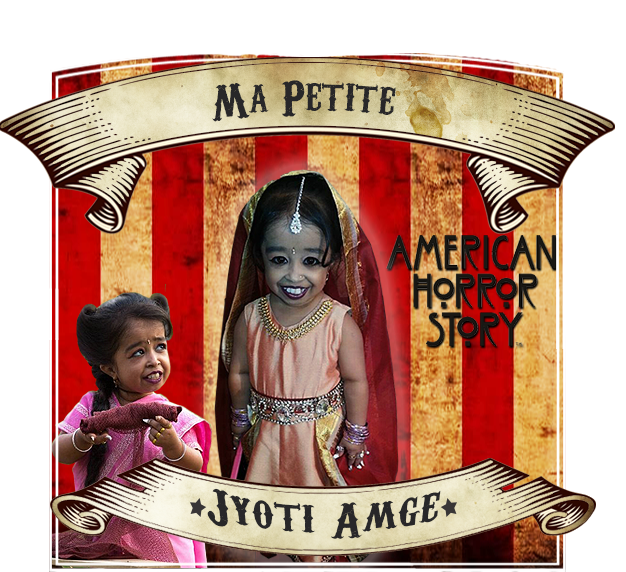 Best known as Ma, Petite in the FX Hit Series “American Horror Story” Season 4, Jyoti comes to us all the way from Nagpur, India! Jyoti is a very special person.. she has an amazing bright smile, and stands just 23 inches tall, holding the title of “The World’s Smallest Living Woman” which she was granted by Guinness World Records in 2011. She has appeared in several other pictures such as “Body Shock” and “Bigg Boss 6”. In a recent interview with ET, she states “Don’t treat me like a baby” (as that’s what most people do wrong when interacting with me),,, We are so very proud to welcome her to our very own ScareFest as the amazing bright-eyed 20yr old woman that she is.. Everyone give her a huge WELCOME!!!! and THANK YOU for coming!!! Better known as “The Lady In Lavender” Kathy or “Kat” Lester portrayed the Tall Man’s Alter-Ego in the Classic Horror Film: Phantasm! In addition to her film career, she has appeared in numerous commercials and stage productions. Kat is also very talented in the Music genre and has written, recorded and performed in many live major music Venues and Events! 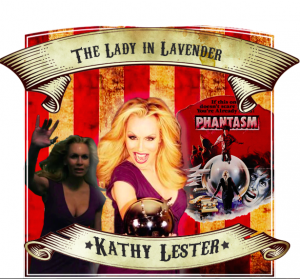 She makes a fabulous addition to our Phantasm Line Up! Welcome Kat to ScareFest! 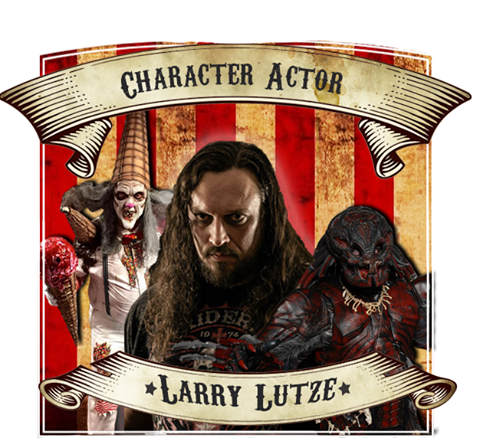 He’s becoming one of the most recognized Character Actors in the Horror Convention Scene,Please Welcome our Favorite “WereWolf” LARRY LUTZE! With a background in Art, and several appearances in Indy Films, Larry began creating Costumes & Designs while working in the Haunted House Industry. For the past 4 years, Larry has participated in the Horror Convention Scene as a Character Actor with various custom created Costumes that are very unique and not the “norm”. Larry’s Costumes are truly a work of art, and he has created his own “niche” style for the Horror Character Industry. We are pleased to welcome her to our Classic Horror Line Up This year! 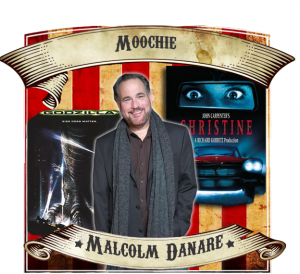 You know him as bad boy “Moochie” in the John Carpenter Blockbuster Film “Christine”! 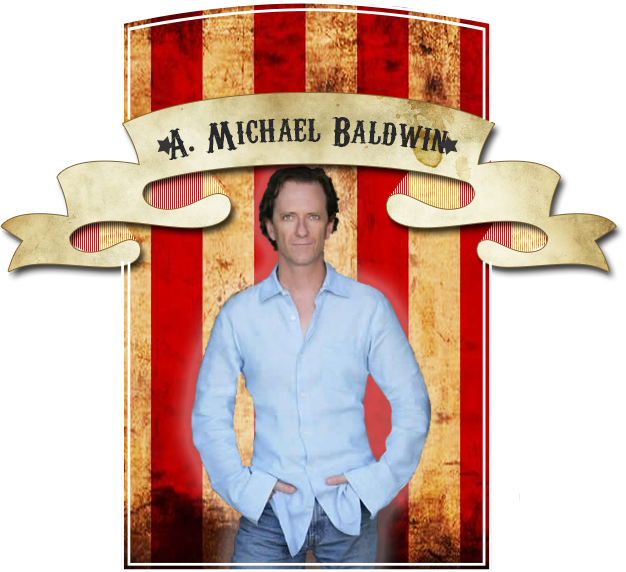 He’s also appeared in the 1998 Mendel Craven film, Godzilla, CSI Miami, Independence Day, Robin Hood Men In Tights, and many other film and television shows! He currently has 2 films in production and is going to be an amazing asset to our 2015 ScareFest Line Up! 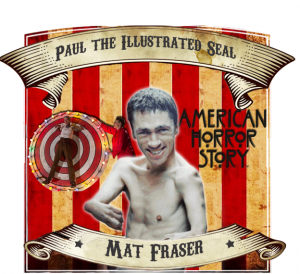 “Paul- The Illustrated Seal” Mr. Mat Fraser! 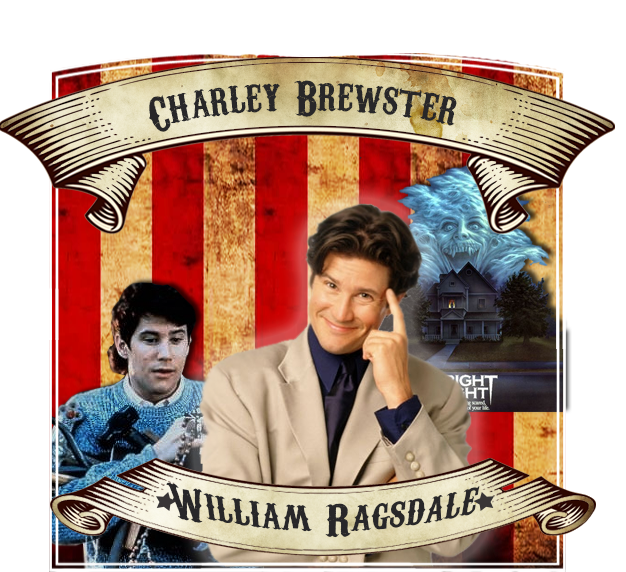 We are extremely delighted to be welcoming such an amazing talent to ScareFest this year! Paranormal and Horror fans alike… please help us welcome, Celebrity Author, Investigator, Teacher, Psychic & Occult Expert: MICHELLE BELANGER!!!! 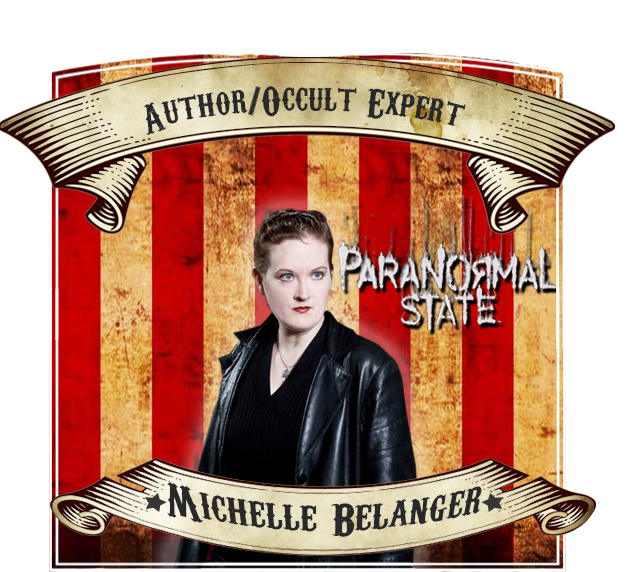 Michelle is an award winning Author best known for her work on the A&E Hit TV Series: PARANORMAL STATE, but she has also appeared on the hit TV Movie: “The Real Vampire Files,” , “Monsterquest” and ” The Secret Life of Vampires”. Michelle also works in many other Creative and dynamic avenues of Performing, Writing, Teaching and Healing. 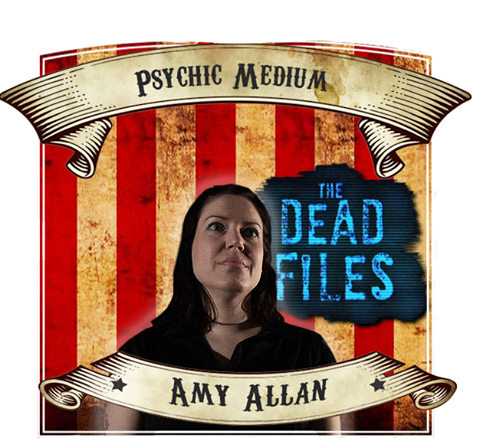 Her Psychic abilities have been well documented and she will be participating in something AMAZING at SCAREFEST! Just watch and see what we will be announcing for Michelle! American Horror Story: Freak Show begins its tale in the quiet, sleepy hamlet of Jupiter, Florida. The year is 1952. A troupe of curiosities has just arrived to town, coinciding with the strange emergence of a dark entity that savagely threatens the lives of townsfolk and freaks alike. 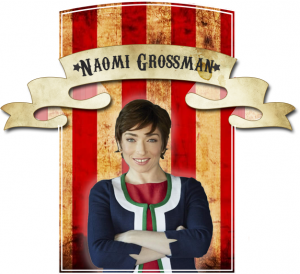 ScareFest is so pleased to announce Naomi Grossman who will be joining ScareFest this September. 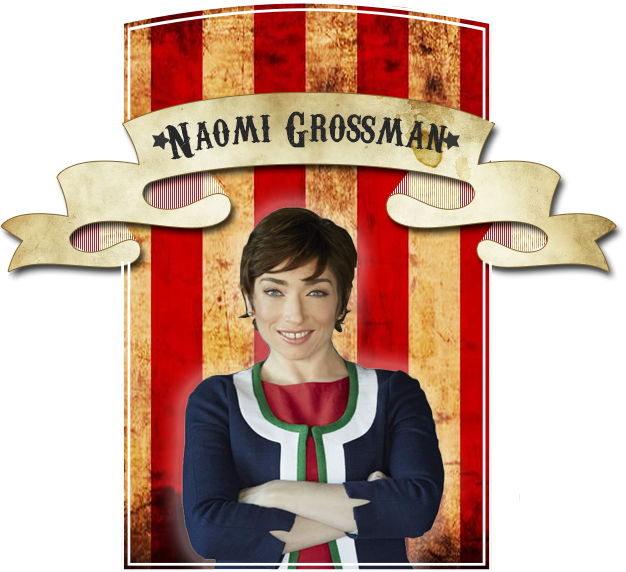 Please share our announcement with your friends and family so they too will be able to meet Naomi. 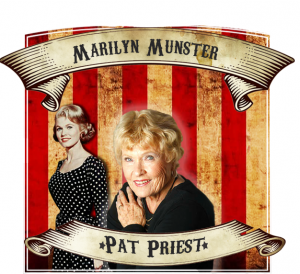 From 1313 Mockingbird Lane, Please give a HUGE ScareFest Welcome to: PAT PRIEST! Please give a huge Welcome to: PAUL BRADFORD! 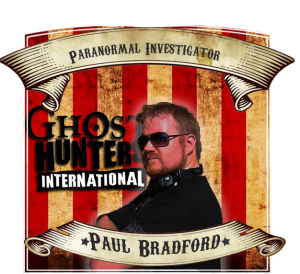 Born in London with a passion for science fiction, gadget making, graphic design, acting, Paul Bradford is better known as the Tech Manager for the SyFy series “Ghost Hunters International”. Paul studied Photography as well as Art & Design in the UK, which lead to his first publication in 2009, ” Wish You Were Here,” a collection of travel photography from around the globe. 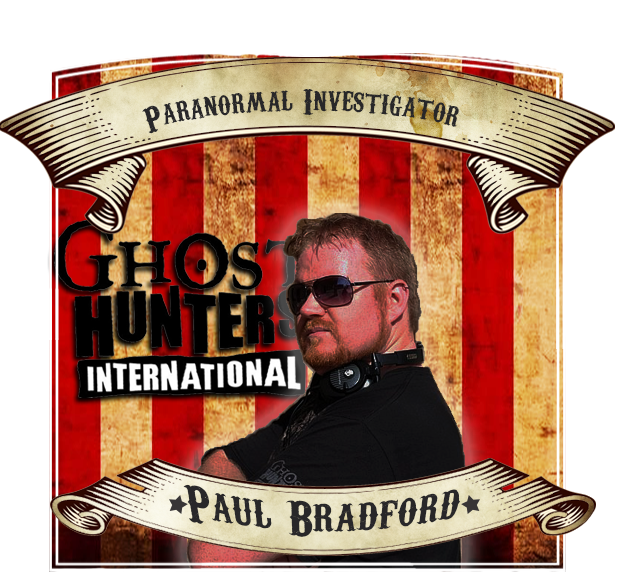 Out of Paul’s continuing love for science fiction stemmed a need to build specialized mechanical and electronic devices that were seen not only on Ghost Hunters International, but among most of other “ghost hunting” television shows as well. His devices/inventions are in constant demand in which he continues to build as part of the number one supplier of Paranormal equipment, Ghost Stop. He’s our current ScareFest Logistics Manager and has been actively involved with the ScareFest team since 2010. Please give a big welcome for our FIRST Special Guest Speaker Mr. R.J. Deacon! RJ first discovered his paranormal abilities as a young boy in Staunton, Virginia and has been a practicing Medium for the last 3 years. 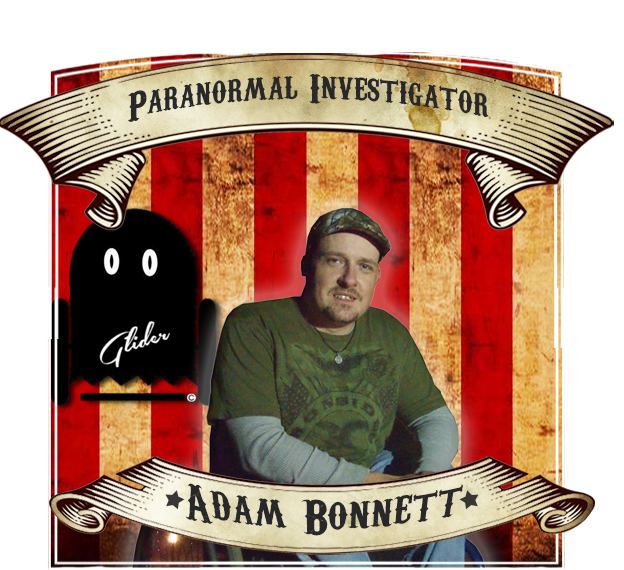 He has also been a Professional Paranormal Investigator for the last 10 years, and has worked alongside some of the best in the Industry. 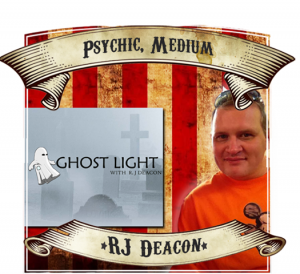 RJ is also the host of “Ghost Light with RJ Deacon” onliveparanormal.com interviewing guests such as John Zaffis, Andrea Perron, and Patti Starr among others. Please come see RJ at his seminar “Haunted Life” or say hello when perusing his booth, “RJ and Company”. 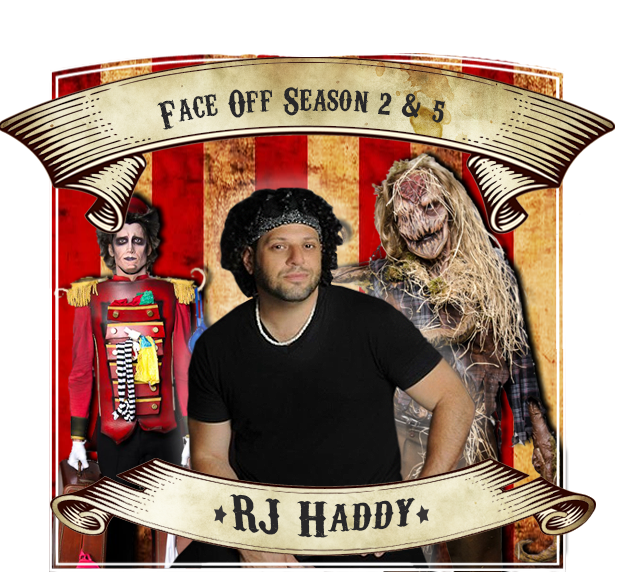 We have one of the most Creative FX Artists to ever grace the ScareFest floor– RJ Haddy!!!! 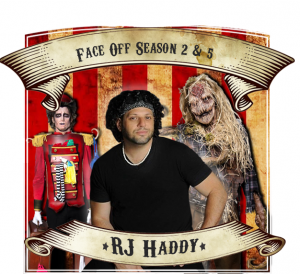 Having been on SyFy Channel’s Hit Series FACEOFF for not only one season but two! Competing in Seasons, 2 & 5, RJ won “Audience Favorite” and finished in the top 3 in both seasons. Keep posted here to find out what all RJ will be doing at ScareFest! You won’t want to miss it.. it will be an amazing event! Phantasm legacy started 36 years ago. ScareFest is so excited to announce Reggie Bannister. Please share our announcement with your friends and family so they too will be able to meet Reggie. American Horror Story: Freak Show begins its tale in the quiet, sleepy hamlet of Jupiter, Florida. The year is 1952. A troupe of curiosities has just arrived to town, coinciding with the strange emergence of a dark entity that savagely threatens the lives of townsfolk and freaks alike. 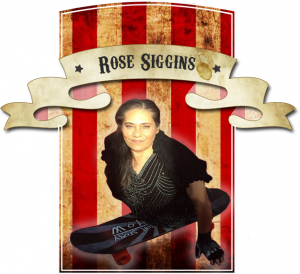 ScareFest is so pleased to announce Rose Siggins who will be joining ScareFest this September. Please share our announcement with your friends and family so they too will be able to meet Rose. 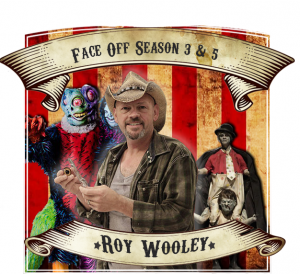 A welcome addition to our FX Line Up for this year… and a “partner in crime” for an Exclusive Event coming to ScareFest this year…..
We are so proud to welcome ROY WOOLEY! Another Audience Favorite and 2 time Contestant on SyFy Channel’s hit series FACEOFF. finishing in the top 3 on Season 5… he also appeared in the first episode of SyFy’s Fox & Company. Roy is the owner of “Roy Wooley FX” and is Chief Make-Up Artist for one of America’s Top Haunted Attractions-Netherworld in Atlanta GA.
Roy will be offering something special and unique to our ScareFest fans this year! Stay posted here to see what we have up our sleeves with our amazing FX celebrity line up! Please Welcome One of our ScareFest favorites! 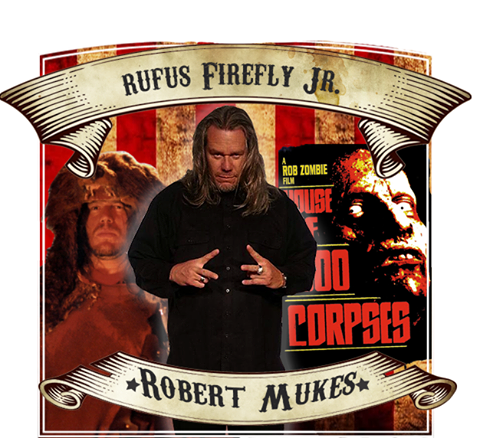 He played Rufus “R.J.” Firefly, Jr. in Rob Zombie’s House of 1000 Corpses, and has frequented many award winning movies as a skilled Stuntman such as: The Waterboy & Wild Hogs.. .and also frequented many episodes of the hit TV Series WEEDS as the character “Abumchuk”. Robert has some amazing projects being released this year and next and I think all of us ScareFest fans will be amazed at his next move on the big screen! Please give a HUGE ScareFest Welcome for this HUGE and Wonderful Star! Hummm.. It’s not Christmas yet…. but we have a Frighteningly Jolly old elf to Announce! 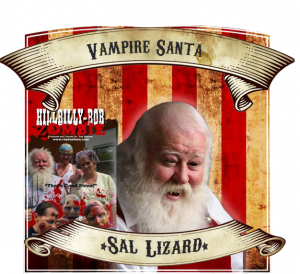 Please give a hearty good Welcome to our favorite VAMPIRE SANTA—SAL LIZARD! This VAMPIRE SANTA is like no other Santa in the World. Sal is well known around the Globe for his Comedy, Costumes and Media Personality! Sal starred in several Comedic Horror films such as : Hillbilly Bob Zombie, Creature from the Hillbilly Lagoon, as well as other films such as “I am Legend” and “Mountain Mafia”. Sal Brings is Vampire Santa Sleigh for good times and Photo Ops! He will be full of fun and suprises and sure to Entertain! 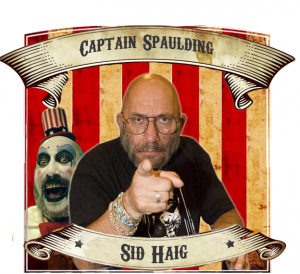 We are pleased to welcome him back to ScareFest! throw back to the original, Classic Horror days. 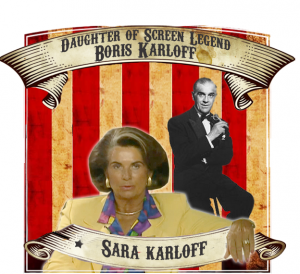 Our next guest is the beloved daughter of one of the biggest and most loved Classic Horror legends, Mr. Boris Karloff! Please give a huge & gracious ScareFest Welcome to Sara Karloff! Sara will be giving us a SPECIAL Engagement Seminar about her father. Time and details to be posted soon! Please give a huge Welcome for another ScareFest Fav, Mr. Scott Sukel from The Ohio State Reformatory! Scott Sukel has been investigating the paranormal since 1993. After a few years of being called in for residential investigations he received a phone call that would change his life. In 1997, the group that he was affiliated with, gained access to a never before investigated dream location: The Ohio State Reformatory. He fell in love with the building at first sight. 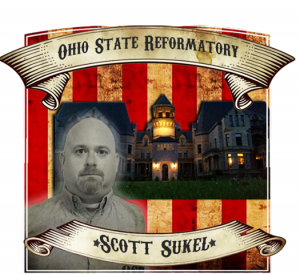 Scott has been involved with the Reformatory ever since. After countless volunteer hours he earned his current position, managing the wildly popular Ghost Hunts at the OSR. He has held that position for almost a decade. He is also one of the leading historians at the location. Along with appearing on “Ghost Adventures”, “Ghost Hunters Academy”, “My Ghost Story”, “Inside: Secret America/Ghosts” on Nat Geo, he has been on many radio show, numerous book and newspapers. He has also consulted on cases all over the US and Canada. 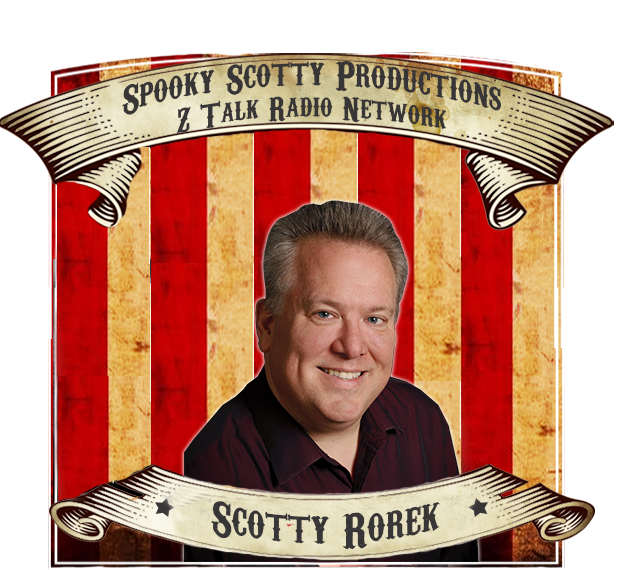 We have a highly esteemed Psychic Medium and Creator of ztalkradio.com, Mr. Scotty Rorek of “Spooky Scotty Productions! Scotty encountered spirits when he was a young child – later while attending college, he saw a full-body apparition that changed his life. This life-changing moment sent him on a path of enlightenment and spiritual growth, which continues today. Scotty has traveled throughout the Midwest and southern states, speaking at conventions and giving spiritual readings. He has incorporated new and innovative techniques to help find the answers that he seeks and has mentored members of his team as well as visiting teams in spiritual techniques and tools. Scotty has been called in to assist other groups with their spiritual needs. Through Scotty’s abilities, he is able to hear and speak to spirits. While validating past and present experiences through spiritual readings and dowsing sessions, he is able to capture recordings and acknowledgements simultaneously. Scotty’s unique ability to receive messages gives him a way of comforting and helping people understand that their loved ones watch over them. Scotty’s purpose is to help prove that there is life after death and it isn’t scary. Scotty Rorek is a psychic medium whose mission is to bring spiritual understanding to people searching for answers. He works toward that mission through education, medium-ship, and mentoring. To educate people, Mr. Rorek created Ztalkradio.com, an internet radio station that focuses on paranormal and psychic programming. As host of “The Buzz” talk radio show, he interviews a range of hosts and discusses many topics. In addition to that, Mr. Rorek provides insightful lectures at paranormal/psychic conventions. Because of Mr. Rorek’s experience with his psychic perceptions, he often guides and mentors others who are trying to understand and use their own psychic abilities. His care and concern for others is central to his mission. We have a little something for the Paranormal Fans.. especially those of you who are very interested in the LATEST in DIGITAL Ghost Hunting Equipment. 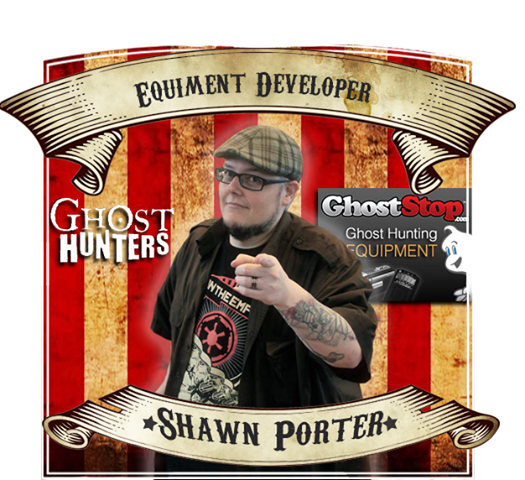 Shawn Porter is the owner of GhostStop, developer and supplier of paranormal investigation equipment and appears on Syfy Channel’s GHOST HUNTERS bringing in new tech and investigating along with TAPS. Shawn has worked with some of the most notable in the paranormal field providing technical expertise and designing custom equipment for TV shows and paranormal investigation teams around the world. During High School, he states that he was “hit with the acting bug” .. he was cast in an important role, and encouraged by the drama teacher’s Hollywood friend to continue and pursue a career on stage.. right after high school he enrolled in the prestigious Pasadena Playhouse.. then on to Hollywood! He has gone on to appear in over 70 films and over 350 Television shows! Too many to list! 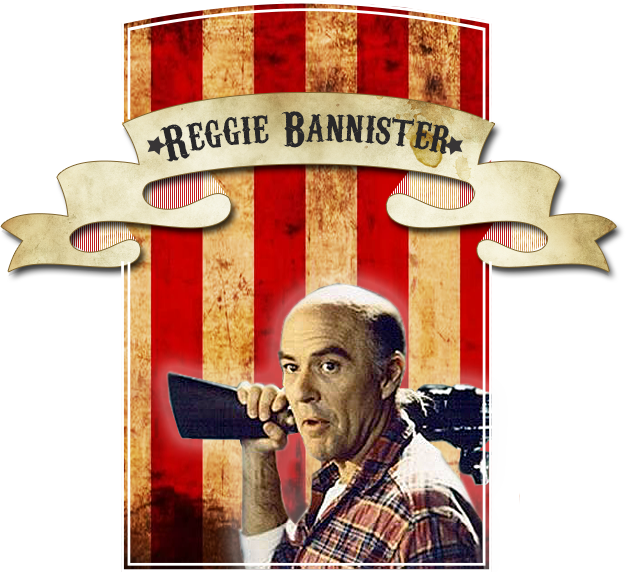 You know and love him best from Rob Zombie’s “House of 1000 Corpses” and “The Devil’s Rejects”. This Paranormal Celebrity has been one that we are sooooo very excited for! We are so excited to announce: Mr. Steve Dischiavi! 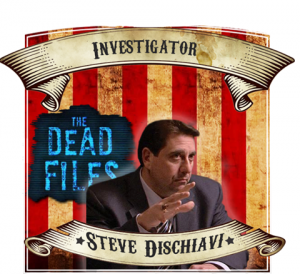 Steve is best known for his role on The Travel Channel’s hit series, The Dead Files, where he Investigates haunted locations from a factual, Detective point of view to provide evidence to each case. 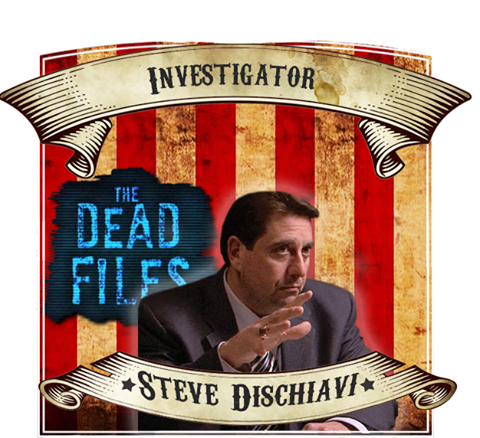 Steve is also in fact, a former NYPD Homicide Detective, creating an amazing contrast and new angle for this Paranormal show, that you don’t normally see. 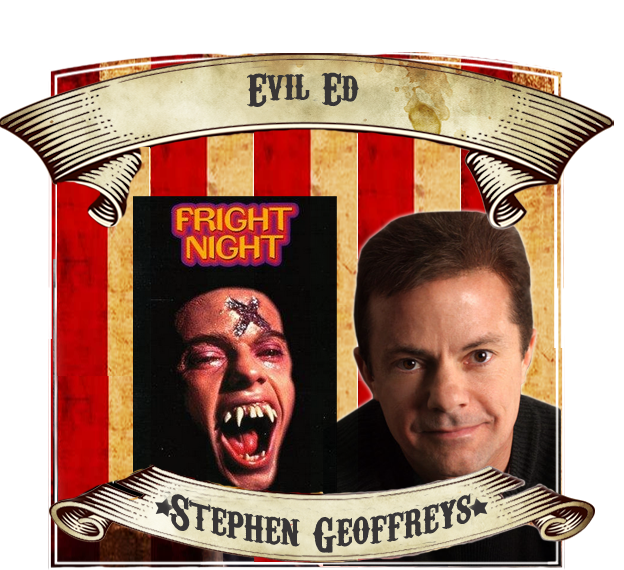 We have LOTS planned for Steve at ScareFest this year!!! 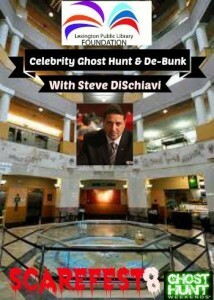 Keep watch here as ScareFest and Steve DiSchiavi have LOTS to tell you about before September! rom the John Carpenter film, “Christine”, he’s best known for his role as Richie Trelawney, but he’s also appeared in Ghostbusters and Island of Blood. 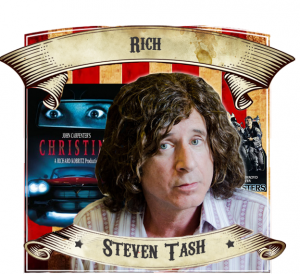 Please welcome, Mr. Steven Tash! 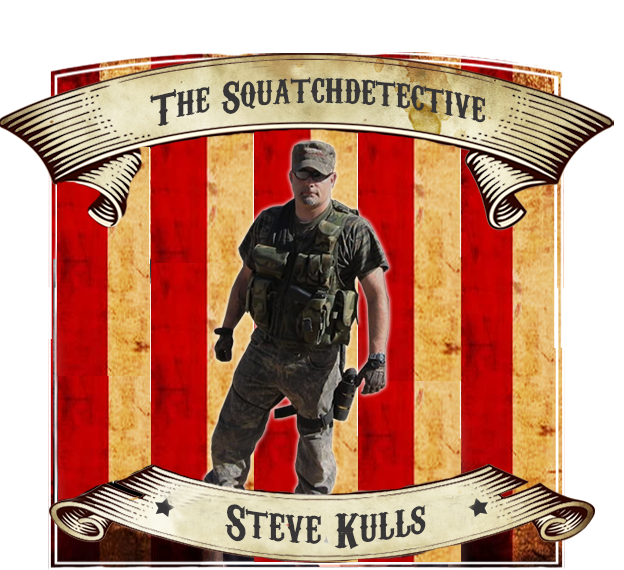 Steve is former Private Investigator and Foresnic Interviewer, and has had a lifelong fascination with Bigfoot Phenomena. In 1988 after reading “Monsters of the Northwoods” he set out to examine and interview many scientific and law enforcement individuals that had worked cases of “Bigfoot” sightings. Since, he has had numerous experiences himeself, he is now a veteran Big Foot Researcher, and plans to engage us in his seminar with amazing footage and data that is solid enough to turn a cynic into a believer! Please welcome Mr. Steve Kulls to ScareFest! It’s Friday… and it’s the perfect time to give a BIG ScareFest Welcome to…. TINY LISTER!!!!! Originally a professional wrestler known by the names “Zeus” and “ZGangsta” for the WWF, Tiny left the world of wrestling in the mid 80’s to pursue an acting career. Tiny Lister has worked with some of the greatest directors (Tarantino, Besson, Frankenheimer), many of our most noted actors (Marlon Brando, Samuel L. Jackson, Johnny Depp, Peter O’Toole) and a good share of the top talent in wrestling and rap (Hulk Hogan, 50 Cent and Tupac Shakur, respectively) – but it is Tiny’s devotion to ministry and public speaking that makes the biggest impression. 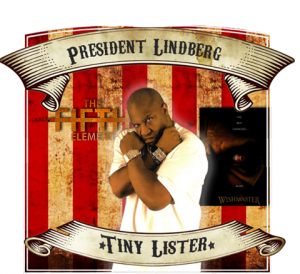 Tiny now ministers across the country, reaching out to troubled youth, and sharing his powerful testimony and inspiration in churches and schools. 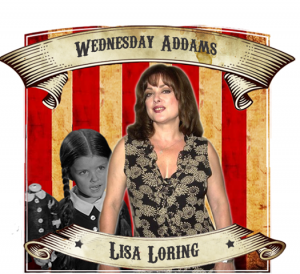 We have yet another daughter of an amazing and timeless Classic Horror Legend! 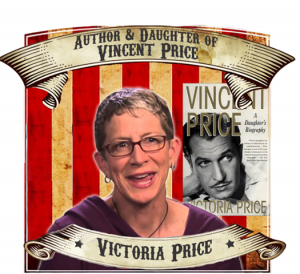 Please give a warm and gracious ScareFest Welcome to Author Victoria Price! As the daughter of the Hollywood Horror Legend, Vincent Price, Victoria has had a lifetime of memories and experiences that she will be sharing with us! Her book, “Vincent Price: A Daughter’s Biography” is written with great detail into the professional and personal life of Vincent Price. Her book will be available for purchase and she will also be honoring her father by graciously giving us a Special Engagement Seminar chock full of her experiences as the daughter of this amazing Horror Legend! Time & Details of Seminar to be posted soon! 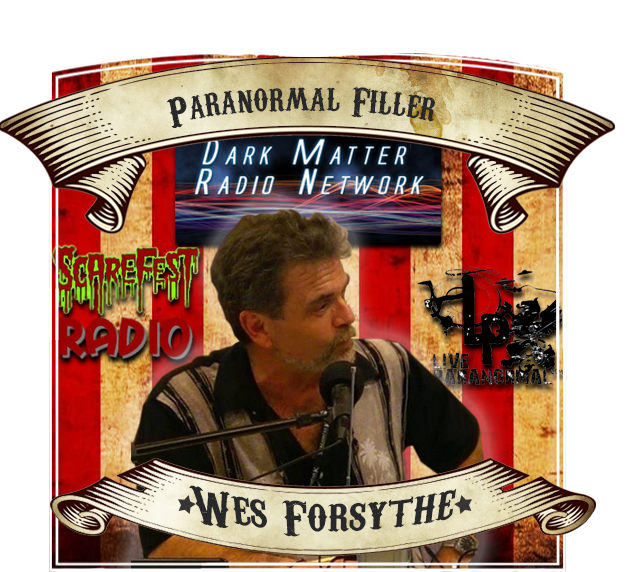 He’s one of the most well known faces in Paranormal Radio, Please give a Huge Welcome to: WES FORSYTHE! Wes is the host of the freely syndicated internet radio show Paranormal Filler and our own host of The Paranormal iCon presents ScareFest Radio! He started out as a ghost hunter but his thirst for knowledge led him to delve into his interview based paranormal radio shows. His unabashed “attention whore” tendencies led him to stick with it and grow the show to where it is now: carried across multiple internet radio networks and independent paranormal sites around the web. Wes will be broadcasting live segments from ScareFest throughout the weekend. 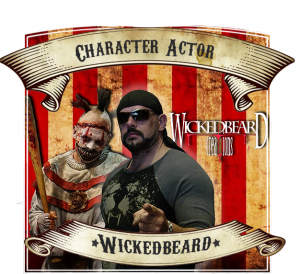 Please give a LOUD & HUGE Welcome to an Artist and Character Actor that has been with us since the beginning…… WICKEDBEARD!!!!!! This “Professional Monster”, Artist, Costume Designer & Character Actor, has literally been a SCAREFEST Family Member since Day 1. We are appreciative & blessed to welcome him back for our 8th year! From the Broadway Stage to the big Screen,he began his career with Neil Simon’s hit Broadway Shows: “Biloxi Blues” and “Broadway Bound”. William has been featured in many other movies such as “The Reaping” and “L.A. Blues” as well as Hit TV shows such as Criminal Minds!